We all dream of a smart yet comfortable home. The ultimate space for relaxation and happiness is our home. Enjoy the luxury of living in a smart, stylish and well-designed home. We at Modern Interio, assign the best Interior designer in Bhilai, for your home who will understand your requirement. Our interior designers provide a state-of-the-art contemporary design for your home which is planned for your satisfaction. Space management is our specialty. We focus on maximum utilization of space while planning our design to make the most out of the given area. We at Modern Interio, seek in-depth knowledge of customer requirement on basis of particular space in the house. For example, we take note of the requirement of every member of the house. Special designs are presented to the customers for children‘s room, master bedroom, guest’s room, living room, toilet etc. We provide complete assistance while selecting color for a room. 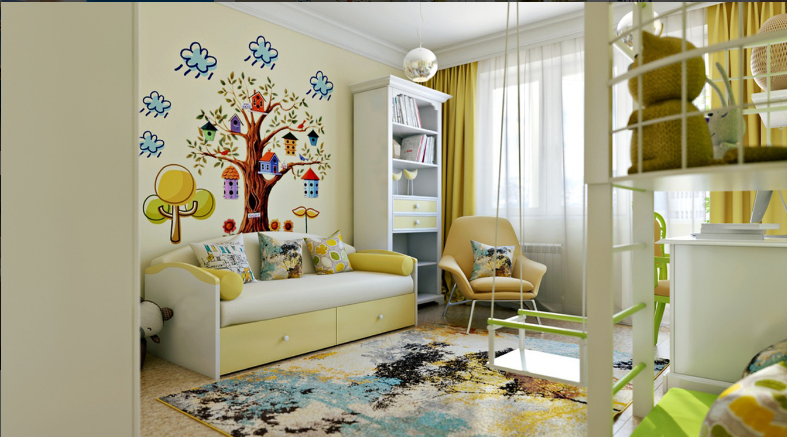 We have specialized catalogue for preferences like kid’s room, textured wall paint etc. We specially focus on the flooring needs. There are verity of flooring material like different types of tiles, marbles etc. which can be chosen for flooring. We provide the best quality bathroom tiles for walls and floor which is anti-skid. Specially designed Kitchen wall tiles are also made handy by keeping your kitchen clean and beautiful. Furniture makes all the difference while planning the interior of a house. We guarantee in selecting the best furniture for your house which will suite your requirement and mood for every room. Furniture helps to enhance the mood and appearance of living space and define meaning to every room. Your dream of a stylish and comfortable home can now be fulfilled by the Interior Designer in Bhilai, of Modern Interio. We just need your help to conceptualize your dream. Be rest assured we will do our best to make it a reality. Our main focus is ultimate customer satisfaction and making dreams come true. We believe to go hand in hand with nature with a blend of modernization.